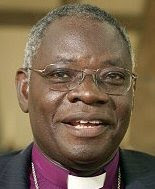 A successor to replace Archbishop Peter Akinola, as primate of the Church of Nigeria (Anglican Communion), would be elected before December. The Registrar of the church, Mr Abraham Yisa told the News Agency of Nigeria (NAN) on Sunday, in Abuja, that the office of the primate would become vacant by March 2010, when Akinola would have completed his ten-year tenure. “By the provisions of the constitution, we must elect a new primate at least three months before the expiration of his tenure. “This is to enable the new primate to understudy a kind of handover,” he said. This entry was posted on Wednesday, August 19th, 2009 at 8:53 am	and is filed under Uncategorized. You can follow any responses to this entry through the RSS 2.0 feed. You can leave a response, or trackback from your own site.